The gadget world is abuzz with the release of the new Android 3.2 Tablet from Huawei. The 7-inch Media Pad tablet is set to ship with the latest Android update. Huawei said that the new update of Android 3.2 is similar to the Honeycomb OS except that it was optimized for a 7-inch screen. The MediaPad is also one powerful tablet. It will runa dual core 1.2 GHz CPU and will sport a 5 Megapixel camera with HD video capability. It also will have a 1.3MP front facing camera. It has a HDMI output, 8GB of internal storage and an expansion slot to add in a SD Card. 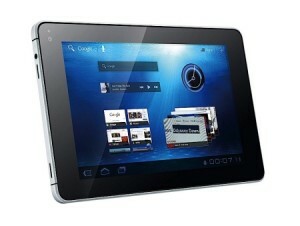 Huawei is also planning to bring out a 3G version of the tablet. The MediaPad is expected to ship in the U.S. in Q3 of 2011. No info on pricing is available yet.